You probably understand by now that it is only “2 STEPS TO 300K in Championships”, every time you finish Top 3 at a Bar hosting “BPO Events”, you win a “token” to use in our weekly online qualifiers! What you might not know, is that there are OTHER uses for these Top 3 Tokens outside of just those Sunday Games, like our High Roller Challenge! 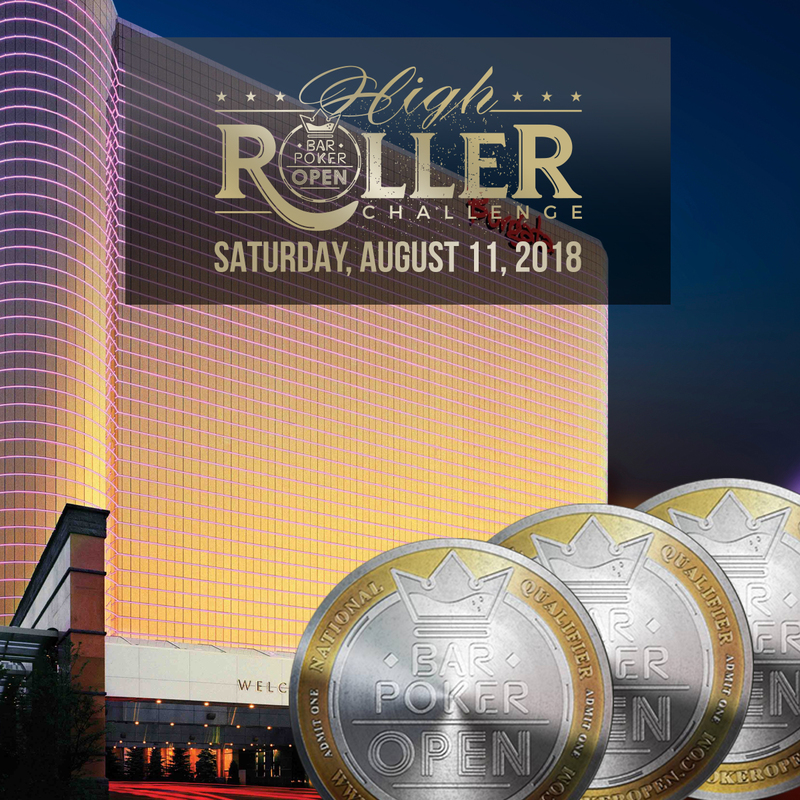 Stack at least 3 Tokens (Top 3 Finishes) for a chance to win our next this “High Roller Challenge” on August 11th! This Season’s High Roller will give out East Coast Championship Hotel Packages to stay at our hosting hotel, Borgata Hotel & Casino! We know this package is not something you can win weekly, but with this High Roller Format we should give out multiple packages in this ONE EVENT! Last Season’s High Roller Reached 806 Total Entries/Rebuys/Add-ons. If we were to reach this same amount we would be giving out 8 FULL PACKAGES!! This would be more than $10,000 in travel packagese! Grand Prizes Given Out Every 100 Entries/Rebuys/Add-ons!! Players can decide to hold onto this travel package for the 2019 Las Vegas National Championship. This package cannot be held onto any further than that. We do not have any confirmed dates for the 2019 National Championship at this time. Packages have no cash value and they cannot be sold or transferred and must be redeemed at either the 2018 East Coast Championship or the 2019 Vegas National Championship or they are forfeit.